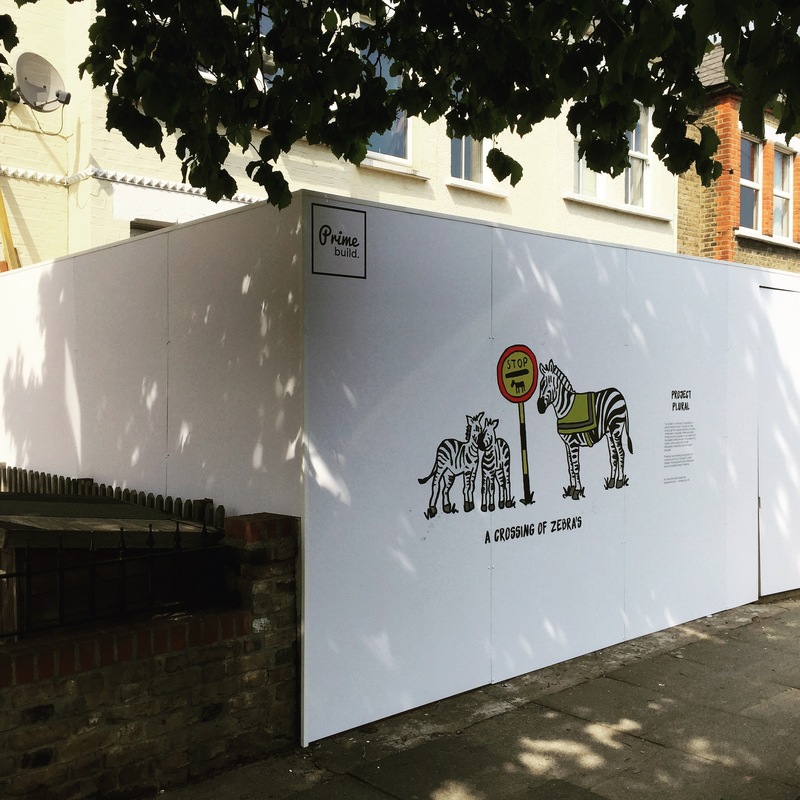 Primebuild, an architectural firm focused on refurbishment projects around London for over 30 years, changed the way the community interacts with hoarding. Instead of the mundane temporary walls placed at construction sites, the family-run business intervened with a public artwork project printed on Dibond aluminum composite material. They call it ‘Canvas for London’ and it is an initiative to interact with the community through young artists’ illustrations while turning simple hoarding into something beautiful. Ten sheets of four-foot by eight-foot matte white Dibond paneling were used to create the installations. Artist Joshua Richardson, an illustrator based in Hackney, was commissioned to create the first series. 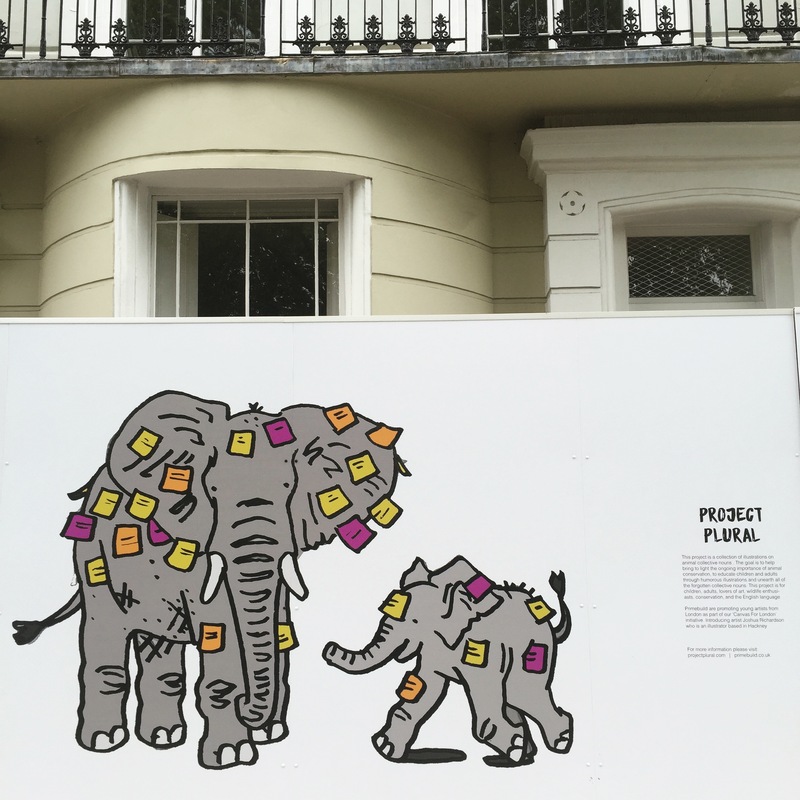 His contribution to the hoarding display is part of a collection titled, “Project Plural.” Each adorable sketch of animal groupings are paired with a short poem and forgotten collective nouns. The project is intended to eventually fill a collection of children’s books. Richardson draws the whimsical creatures with the hope of raising awareness for animal conservation. Instead of shocking an audience with images of animal cruelty, Richardson chooses to celebrate animals to raise awareness. Children, adults and lovers of the English language can appreciate the colorful drawings. Aspirations to create an adult version are underway with fictional collective nouns that might include “a strip tease of snakes” or “a band of beetles.” In addition to books, Richardson envisions a digital interactive experience where fans can create their own fictional nouns and share their creations on social media. The Dibond is first printed with the artists’ work on it and then treated with a film to make the surface and artwork more durable and longer lasting. The hoarding installers are careful to place a maximum of ten screws per panel to keep the integrity of the artwork. The project has allowed the team of architects, surveyors, builders and project managers to interact with the community like never before.